Stay in Our 18th C Farmhouse! 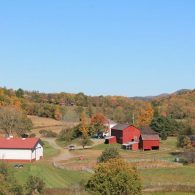 Blind Buck Valley Farmstead (BBVF) is a sustainable family owned farm and homestead nestled in the tranquil hills of Blind Buck Valley. 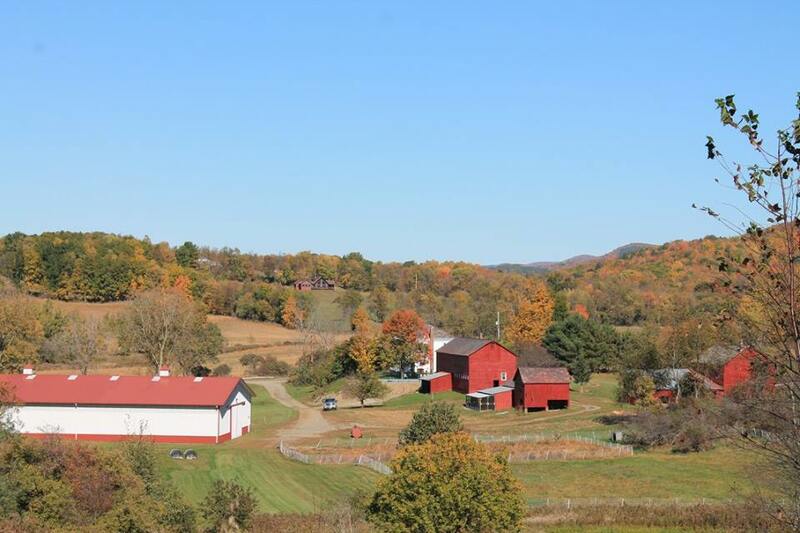 Experience a unique, farm stay and escape the fast paced stress of City life. Our farm grows hay, Christmas trees, wreaths and trimmings, pumpkins, squash, gourds, ornamental corn, and a wide variety of organic fruits, herbs and vegetables. We also produce cage-free eggs and free-range chicken. This nature getaway is the perfect destination for your vacation with family or friends. The fully restored, 18th-century house boasts five antique-appointed bedrooms, two full, newly renovated bathrooms, a large dining room and modern kitchen, and a gorgeous sun room with views of the hills from three directions. The spacious family room featuring a wood stove invites you to sit back and relax.The backyard features a beautiful, in-ground, heated and salt water swimming pool, a deck with a spa Jacuzzi and lounge area, patio with dining table that seats up to 18, gas grill and fire pit. Throughout the year, BBVF offers seasonal activities such as hiking through grassy meadows, bird watching, lawn games such as horse shoes, volleyball, badminton and croquet, hay rides, pumpkin carving, snow shoeing, cross-country skiing and sledding. BBQ on the deck, take a dip in the pool or relax in the Jacuzzi spa as you take in wildlife and the glorious sunset. In the evening, sit around the fire pit and make s’mores and gaze at the star-filled sky. Instructions: $500 security deposit. $150 cleaning fee. Price increases to $500/night on Holiday weekends.